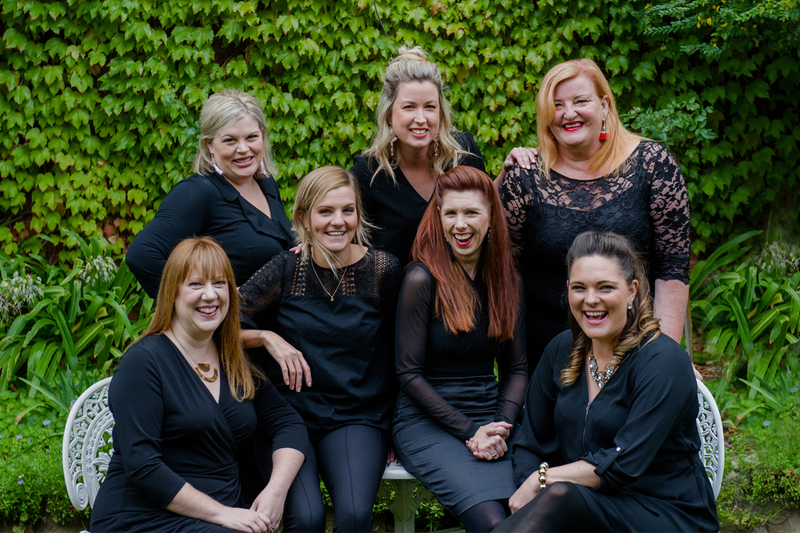 Tell us about the Geelong Celebrant Collective? couples celebrating their wedding here deserve a premium, authentic and professional service. Our couples experience a journey with us; full of excitement, fun and seamless support. Nicole and Chloe met when Chloe began the hunt for a celebrant for her own wedding at Baie Wines in May 2017. Chloe was delighted to have such an experienced, warm and wonderful person at the helm of her ceremony and, throughout the process, the two became firm friends. Over cups of tea, glasses of bubbles and post wedding debrief phone calls, the idea of creating a central hub where couples getting married in Geelong and the broader region can discuss ideas, inspiration and advice for their ceremony started to form. The concept began to take shape in the second half of 2017, with the launch event scheduled for August 2018. Why is it so important to have a good celebrant? The ceremony sets the tone for the rest of the day. With a good celebrant, the couple and their guests will remember the ceremony as the perfect beginning to an incredible celebration. Every couple is unique, so every ceremony should also be as unique – and with a good celebrant, you know yours will be perfectly “you”. We offer couples a streamlined, simple way to find an available local celebrant for their wedding day. The couple merely needs to email us their wedding date and location via our website and we will respond with a list of available GCC celebrants. We offer premium ceremonies – nothing templated, always personal and of the highest standard of delivery. We offer access to on trend industry knowledge for our couples via a closed Facebook group – the ‘GCC Squad’. This is a safe and supportive space where couples can discuss their wedding to their heart’s content (without driving their friends nuts) and also seek advice both from other couples within the group, and from the industry experts – the GCC celebrants. Before the big day, what is the process? We offer unlimited meetings and phone calls to our couples, however, we find that two to three meetings is usually plenty to ensure the legal paperwork is completed and our couples feel supported and comfortable with us. All our processes are slightly different, we all get to know our couples thoroughly before writing their ceremonies (we all love drawing out our couple’s unique story over a glass of wine or two). This allows us to create personal ceremonies that are completely authentic to our couples and reflect who they are as people. It also creates rapport and a trust. What does the team love about what they do? Our team is made up of Chloe, Nicole, Niki, Anita, Di, Laura, Jessie and Sue. We are all huge lovers of love. We unequivocally love connecting with people – our couples, their families and friends and the other suppliers we work with. We are storytellers and creators, organisers and entertainers, and love how our job allows us to follow our passions whilst also working alongside such incredible women. A wedding ceremony is a time of immense hope and excitement, and getting to be a part of that every weekend is an incredible treat.